Anyone who saw the recent BBC adaptation of Flora Thompson’s ‘Lark Rise to Candleford’ might be surprised to see the first volume of her trilogy described in any sense as propaganda. The stories, at least as portrayed by the BBC, are the gentlest type of social history of the English countryside, full of eccentric characters, inconsequential events and endless gossip. 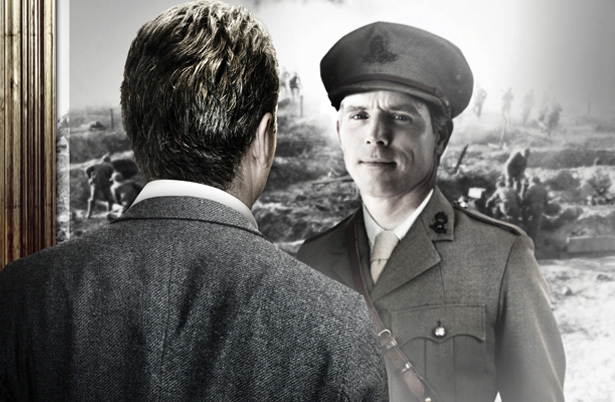 They fitted perfectly the British taste for gentle dramas on a Sunday night. 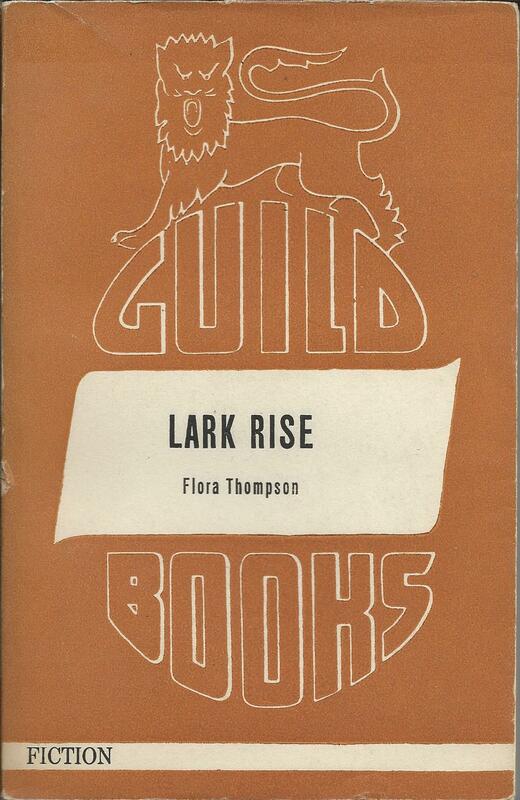 But propaganda of a sort seems to be the right description for one series of paperbacks that included ‘Lark Rise’. 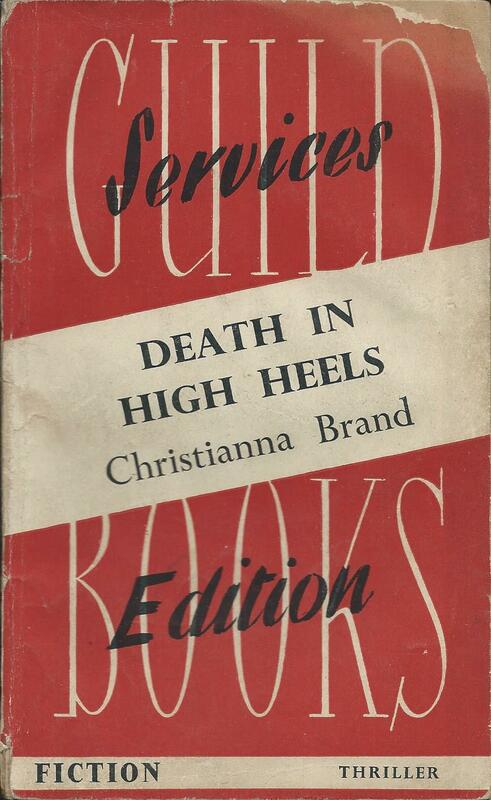 The series of English language Continental Editions from Guild Books in early 1945 had been cut short after just 10 books, but it was quickly followed by two very similar series of German Editions and Austrian Editions. On the face of it, this seems slightly odd. If the Continental Series was not working well with potentially the whole European market to aim for, why try to replace it with two series aimed at much more limited markets? 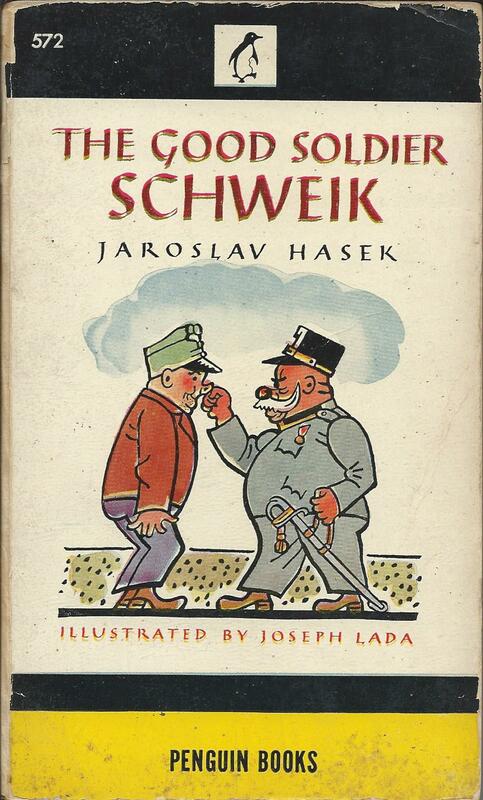 The key to this seems to be the phrase found on the title page of just the first few Austrian Editions – ‘Published for the British Publishers Guild by ISB Political Division ACA (BE)’. The ACA (BE) was the Allied Commission for Austria (British Element), and the ISB its Information Services Branch. So this was not a purely commercial venture. The books were effectively being published by the branch of the British Government that had partial responsibility for administering Austria in the wake of the Allied victory. In a real sense they were propaganda. The aim of the Information Services Branch was to spread information about the British way of life and about democracy, to counter the history of totalitarianism. And ‘Lark Rise’ had its part to play in that. The report of the American equivalent ISB in Austria shows a wide-ranging attempt to spread knowledge of American culture through newspapers, magazines, books, radio programmes, theatre, films and music. They were certainly very conscious of the need to avoid all this looking like propaganda, but it was nonetheless a deliberate attempt to encourage particular values and a particular way of thinking. 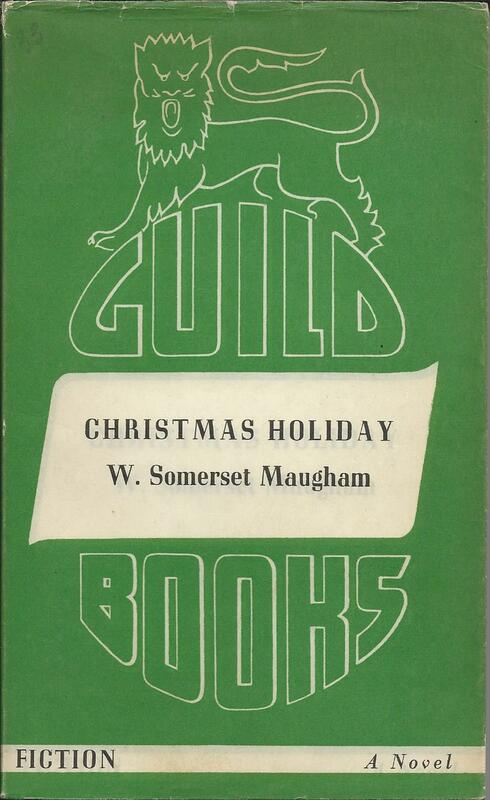 For the Americans, the sale of ‘Overseas Editions’ in both English and German was a key part of this, and for the Brits, the equivalent seems to have been the Guild Books editions. 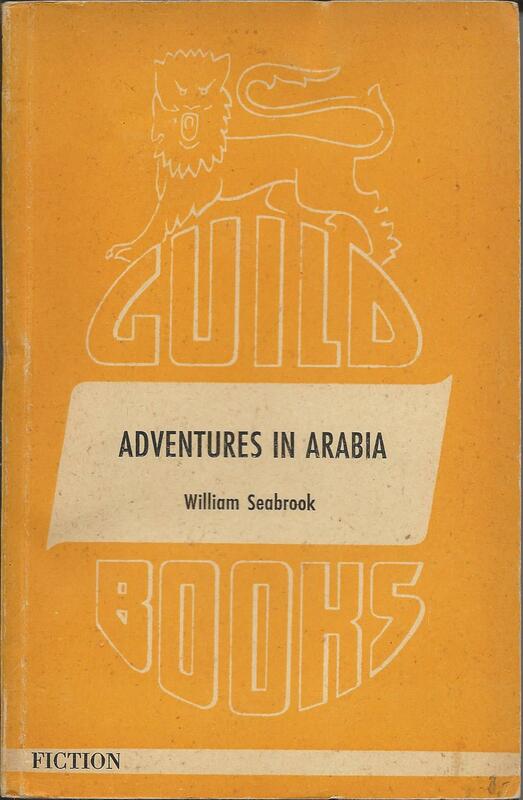 There were 21 Austrian Editions in total from Guild Books, of which only the first 9 referred to the ISB on the title page, although they almost certainly published the whole series, and the final book seems to have been printed on their own printing press. Most of the books are undated, other than the dates in the printing history, which seem invariably to refer to previous editions with no reference to the current edition. One book is dated 1947 and it seems likely that all were published between late 1945 and 1948. They were sold initially at 3 Schillings, increasing to 6 Schillings for the last four volumes. All books are brown, in varying shades, and all seem to have had dustwrappers in the same design as the book covers. Like the Continental Editions, they are relatively well produced, on much better paper than was normal for paperbacks in Britain at the time. The choice of books is relatively wide-ranging. Arthur Koestler’s ‘Arrival and Departure’, which started the series, is a political novel, based on Koestler’s experiences as a Hungarian refugee and former Communist. That book and Herbert Agar’s political analysis ‘A time for greatness’ could certainly be seen as propaganda of a sort. But they were mixed in with other books that less easily fit this description. Lytton Strachey’s biography of ‘Elizabeth and Essex’ was the second book in the series, and there were other titles by C.S. Forester, H.E Bates and Somerset Maugham, as well as Flora Thompson. It’s also interesting to see that the choice of authors is not particularly nationalistic. Although this is a series promoted by the British Element of the ACA, and runs alongside a separate US series of Overseas Editions, the authors include at least 4 Americans and others from Belgium, Hungary, India and Ireland. British authors account for only just over half the books. If this is propaganda for British culture, it’s fairly inclusive as well as very gentle. I’ll come back to the Guild German series in a later post. 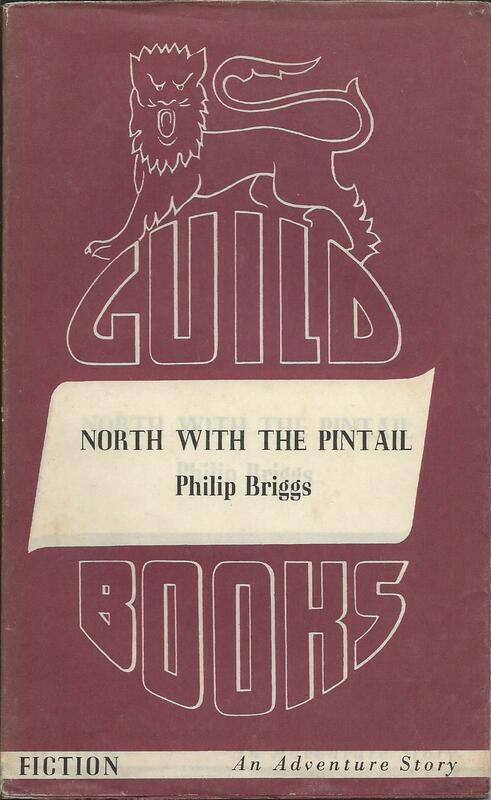 With its long series of Services Editions, the British Publishers Guild had found a useful purpose. But as the war moved towards an end, it had to look around for other things to do. A re-launch of the series of paperbacks it had started in the early years of the war was certainly a possibility, but were there other opportunities? They found a partial answer to this in producing English language books for sale in continental Europe, launching first a series of Continental Editions, followed by specific series for Germany and Austria. All three series look very similar, using a standard cover design, but the practical arrangements and the purposes of the series seem to be rather different. 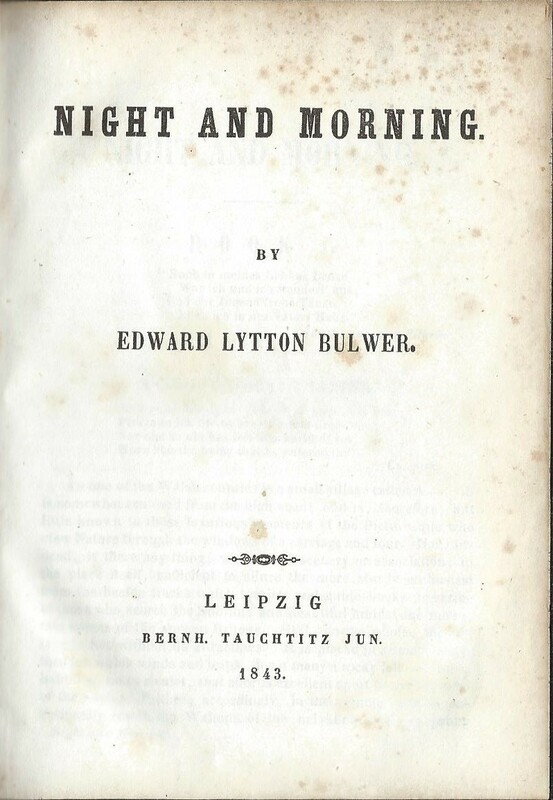 The Continental Editions, numbered C1 to C10, are described as ‘Published for the British Publishers Guild by AB Ljus Förlag, Stockholm’. This follows the formulation used in the Services Editions,and suggests that the Guild itself had little more than a co-ordination role. 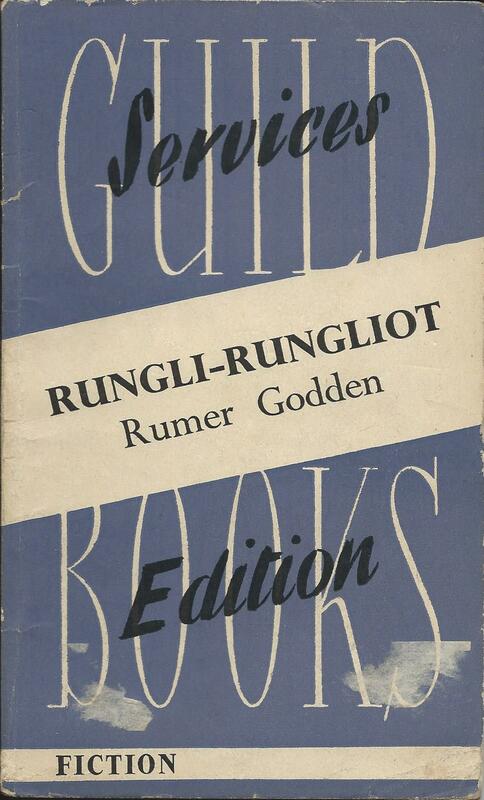 In effect this was probably a series published by Ljus in Sweden, using Guild Books branding and authorisations from the original publishers who were members of the Guild. Sweden had remained neutral throughout the war, but there would have been few opportunities for Swedish publishers to sell English language books elsewhere on the continent. By early 1945, new possibilities were opening up in the wake of the Allied advances, and with Tauchnitz and Albatross still absent from the market, it might have seemed a good time to launch a new series. 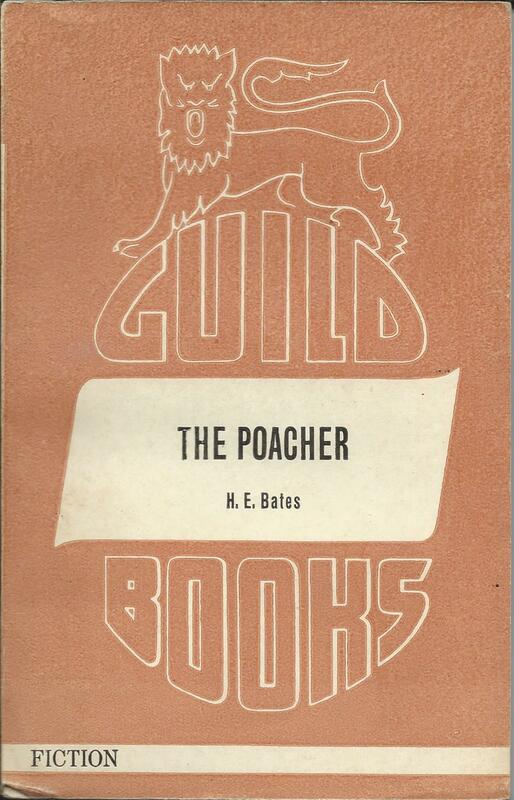 The Guild Continental Editions are relatively lavish paperbacks in comparison with their Services Editions or indeed anything that was being produced in Britain at the time. These are definitely not War Economy Standard books. They were printed in Sweden and so presumably not subject to the paper rationing and other restrictions that so affected book production in Britain. The paper is better quality, the margins are bigger, and they even revert to the pre-war practice of dustwrappers in the same design as the books. Nevertheless the series only ran to ten books, all published in either late 1944 or early 1945, so presumably it was not a success. Most of the books are relatively easy to find now, often turning up in the Netherlands, which may have been one of the main markets, but they’re found in Britain too, sometimes sporting a 2/- sticker. 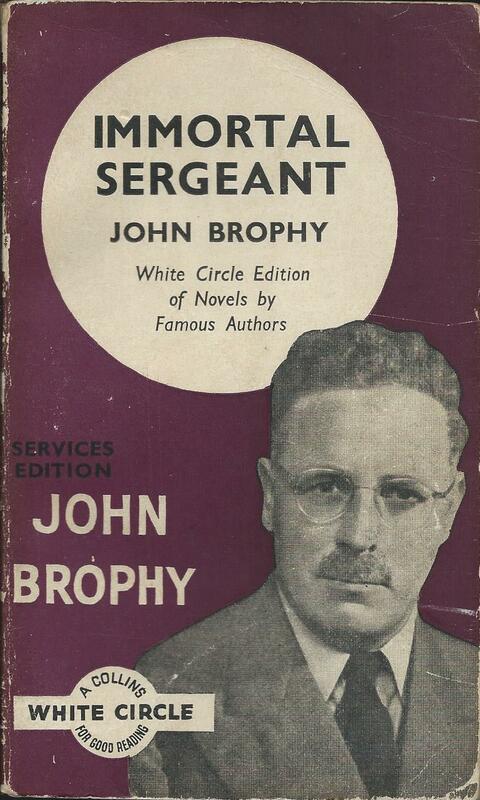 It looks as if copies were left unsold on the continent and then sent on for sale in Britain after the war. One book in particular seems to have suffered this fate. Book C4 ‘Afoot in England’ by W.H. 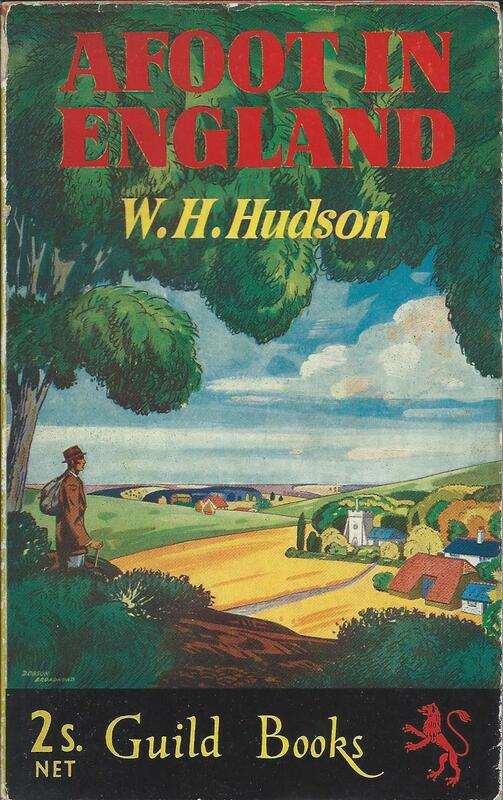 Hudson turns up occasionally in continental Europe, but more often in the UK, where it appears in a brightly coloured dustwrapper, specially printed for the UK market and carrying a series number (453) for the Guild Books post-war UK series. This dates it to around 1952, so the books presumably remained unsold for 7 years in Sweden before the publishers decided to cut their losses. I’ll look at the rather different German and Austrian editions from Guild Books in other posts. Running for over 20 years and over 1000 books, the White Circle paperbacks from Collins were for a long time a familiar sight, not only in Britain, but in Australia, Canada and India. Nowadays though their Indian editions are little known, and it’s difficult to find out anything much either about their series of Services Editions, produced for the British Forces from 1943 to 1946. 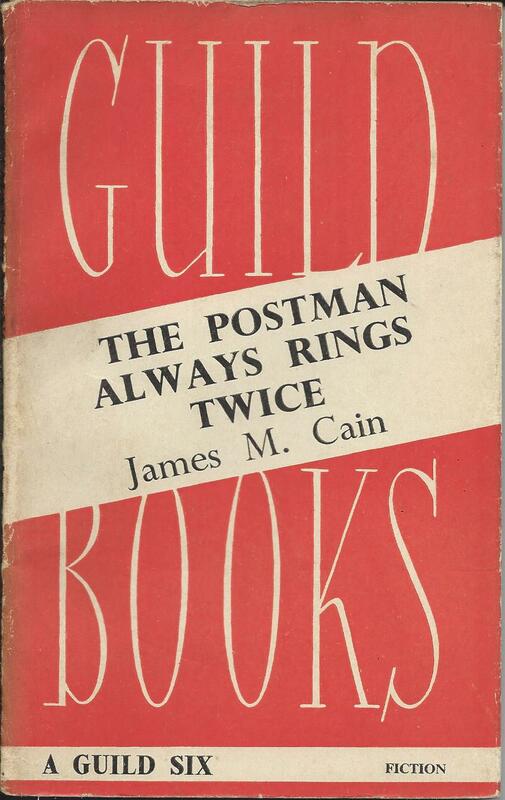 Collins contributed far more books than any other single publisher to Services Editions during the war. 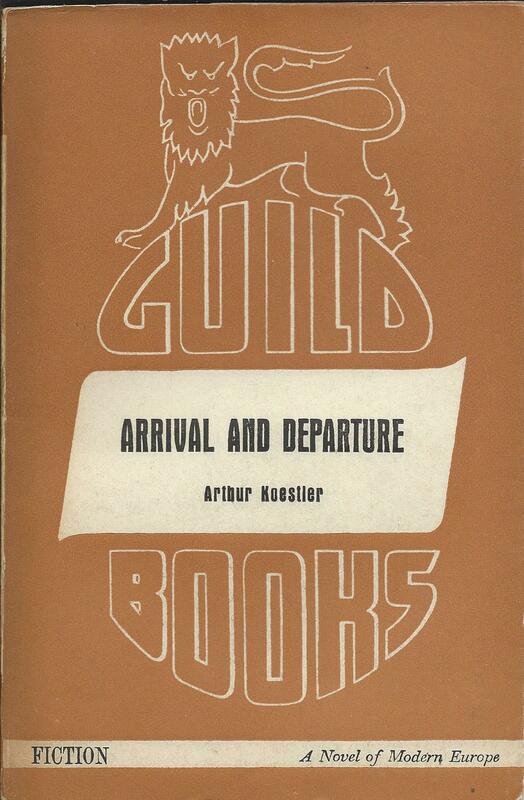 Although the Guild Books series was longer, the Guild was an association of over 20 publishers, with no individual publisher providing more than 20 to 25 books. Collins themselves provided at least 6 books to this series, in addition to 164 books in their own series. They also seem to have met well the brief provided by the Services for the type of books required. In earlier correspondence between Allen Lane and the Services Central Book Depot, about the Penguin Forces Book Club, Lane referred to the Services asking for three categories of book -‘warm’ fiction, westerns and crime. Penguin’s inability to meet this requirement was one of the reasons for the failure of the Forces Book Club. Collins though were a perfect fit. 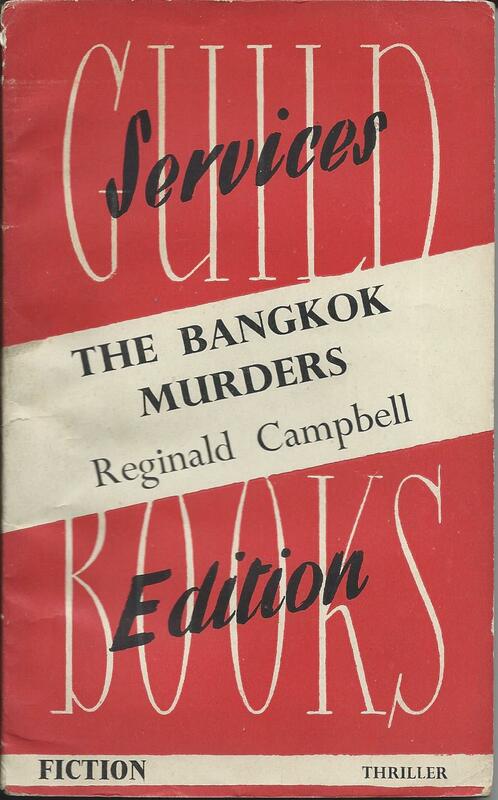 They were probably the largest, and certainly the best known, publisher of crime fiction, through the Collins Crime Club. 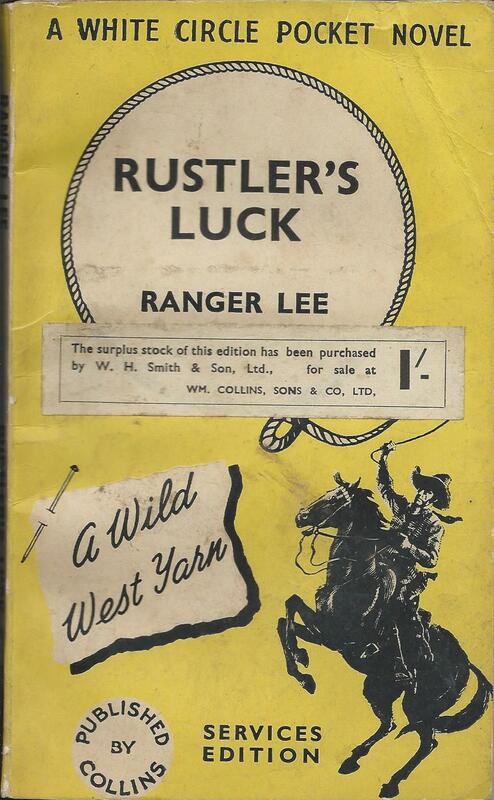 Their White Circle series already included a large selection of westerns, and although I’m not entirely sure what warm fiction is, I suspect that many of their general fiction titles probably fell into this category. As with most of the other Services Editions, there is no complete list of the titles in the Collins series, and to the best of my knowledge, there is no collection of them in any library. There is an incomplete list on my Services Editions website, and although I can’t entirely tie up numbers and titles, I think I know the titles of all but 3 books. 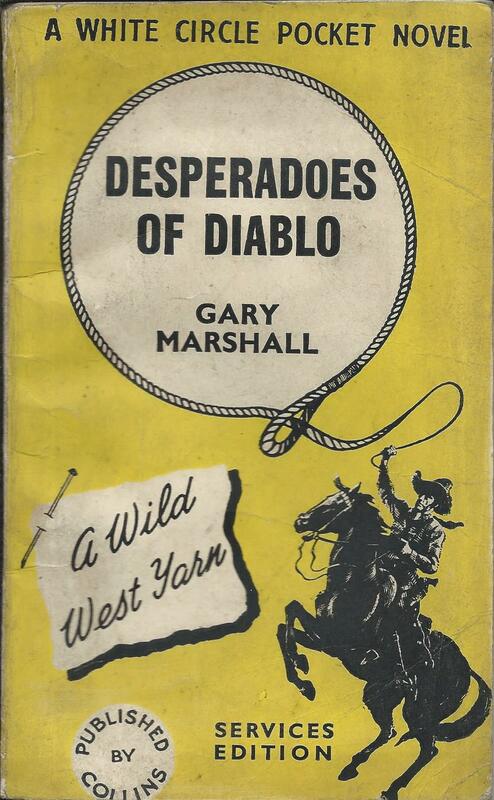 The western titles in yellow covers seem to be particularly difficult to trace, presumably because they were more frequently read than the others and disintegrated more quickly. I’d love to hear from anybody who has knowledge of these books, or even better has copies of them. 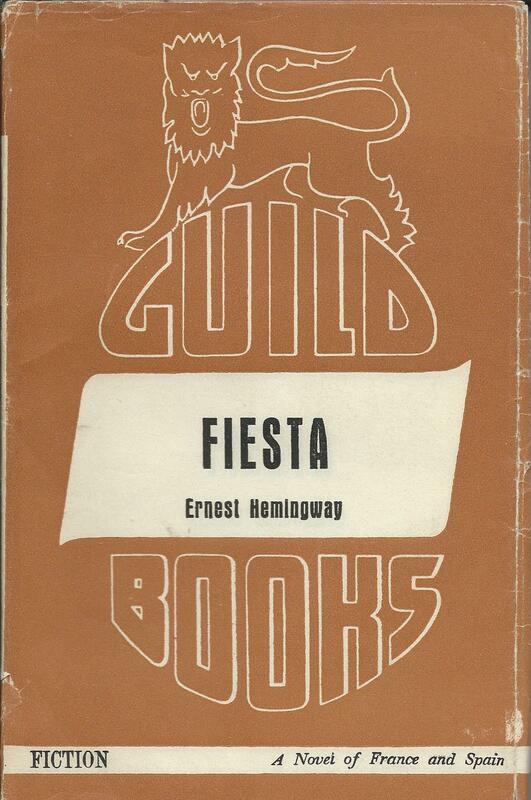 As with the Guild Services Editions, there are problems in identifying first printings and reprints. In the case of Collins the printing dates are shown correctly, but previous printings are not shown. For instance a copy of ‘Murder at Lilac Cottage’ by John Rhode, might show the printing history as ‘First published 1940. 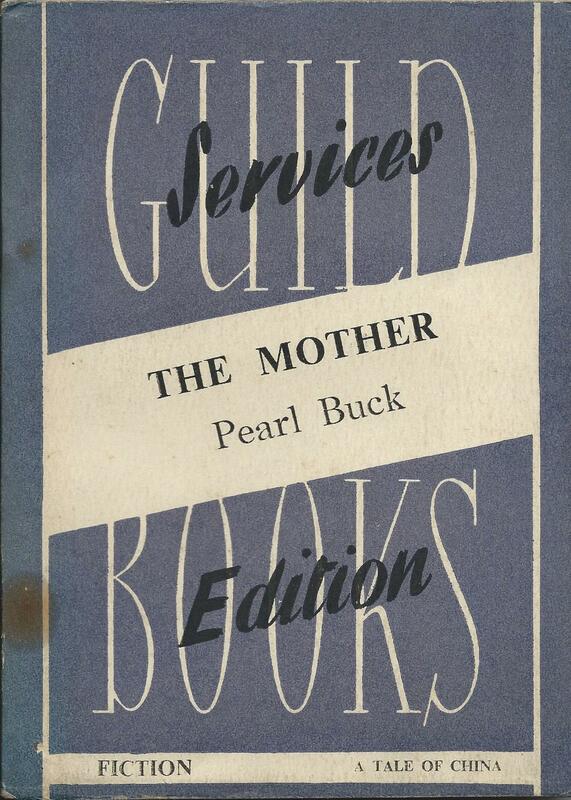 Services Edition 1946’. 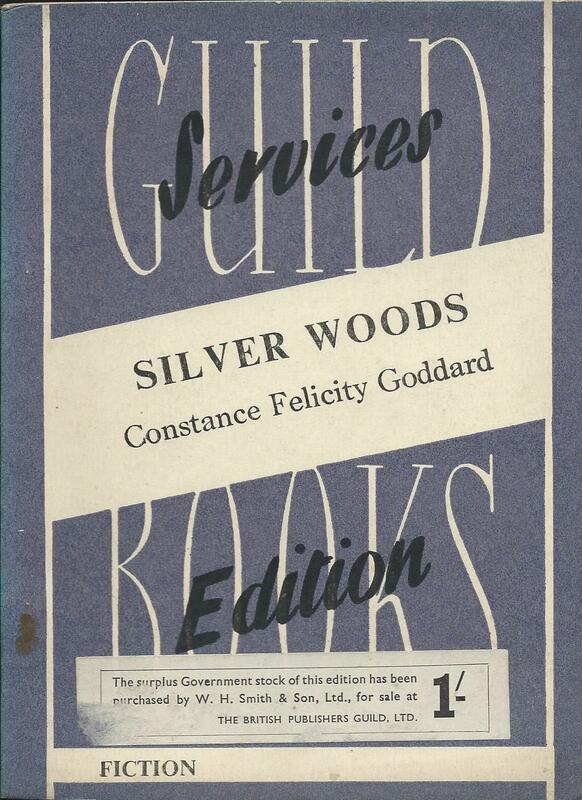 This looks like a first printing of the Services Edition, but fails to mention the previous printing in 1943. The best clue to this is the numbering of the books – books numbered roughly from c201 to c242 (or with no number) were first printed in 1943, from c243 to c283 in 1944, from c284 to c349 in 1945 and from c350 onwards in 1946. 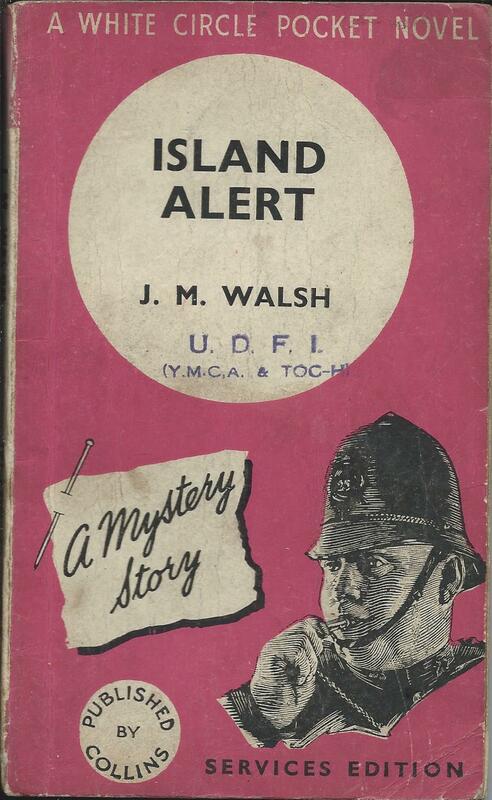 As ‘Murder at Lilac Cottage’ is numbered c217, a 1946 printing must be a reprint. Of course reprints are much easier to find than first printings, and a high proportion of the books that turn up nowadays are those that were sold on to W.H. Smith for general sale when the Services Editions scheme came to an end in 1946. Perhaps 10 million copies of this series were originally printed, but the numbers remaining today, particularly of the early titles, are a tiny, tiny fraction of that. Of all the innovations brought in by Penguin Books when it launched in July 1935, the one that had most effect on the UK market was non-illustrated covers. 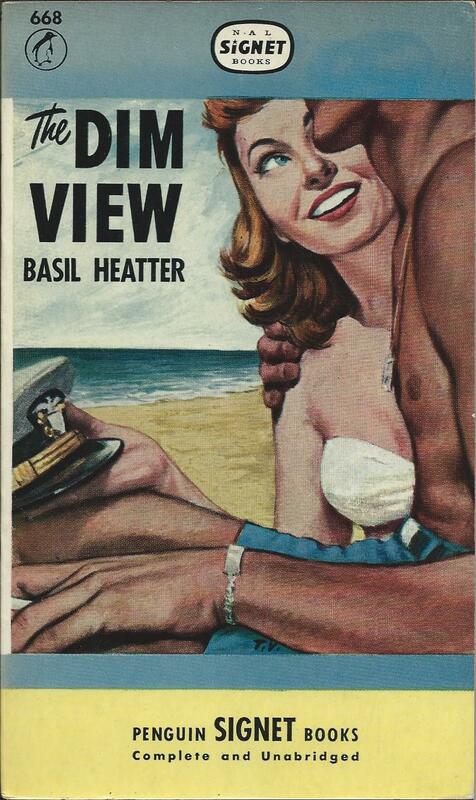 Before Penguin, paperbacks had illustrated covers, after Penguin they largely didn’t. For the next 10 years through to the end of the war, almost all the new paperback series launched in the UK had standard designed covers, with no illustrations. 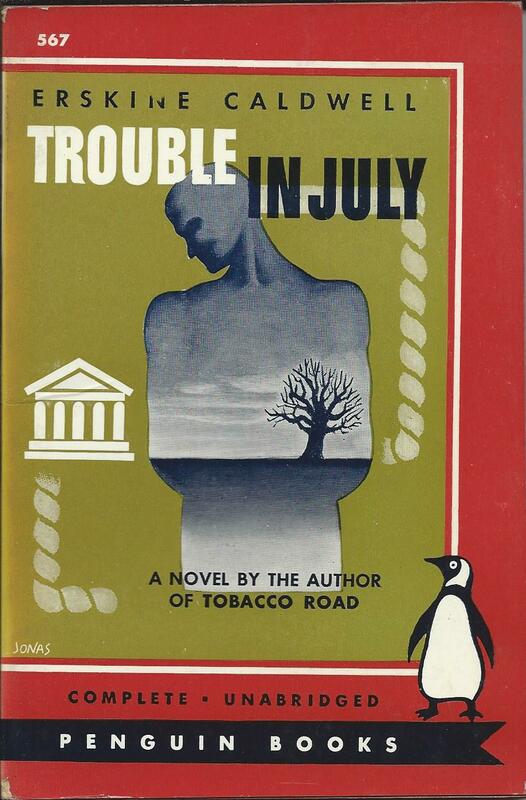 Penguin succeeded in redefining the market so that illustrated covers on a paperback signalled down market. 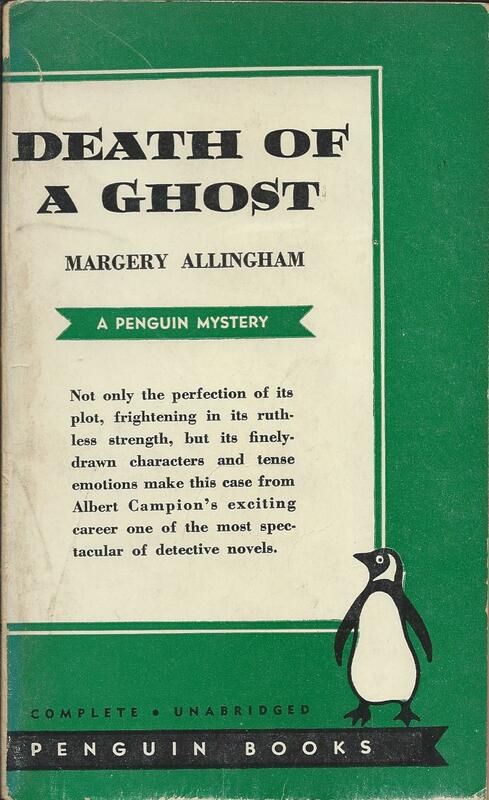 In doing so, the lack of cover illustration became a defining feature of Penguins, almost the essence of the company. After their success in the UK, it was natural for Penguin to think of tackling the US market. Would the same formula work there? 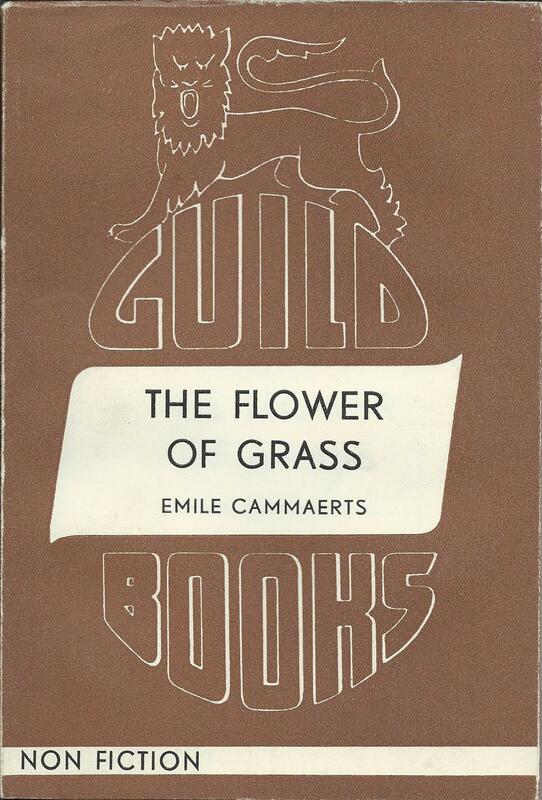 Their first office in New York was set up in 1939, at first importing books from the UK, so the question of cover design didn’t arise. By 1942 though, German submarines were making this a hazardous exercise and paper rationing in the UK was a problem anyway, so local printing seemed to be the way forward. At first they simply reprinted Penguins and Penguin Specials from the UK, using the same format and the same series numbers. But gradually differences started to emerge. First they moved to thicker card covers, more in line with those typically used in the US. Then they started to publish books locally that were more suited to the American market, rather than just choosing books from the UK list. 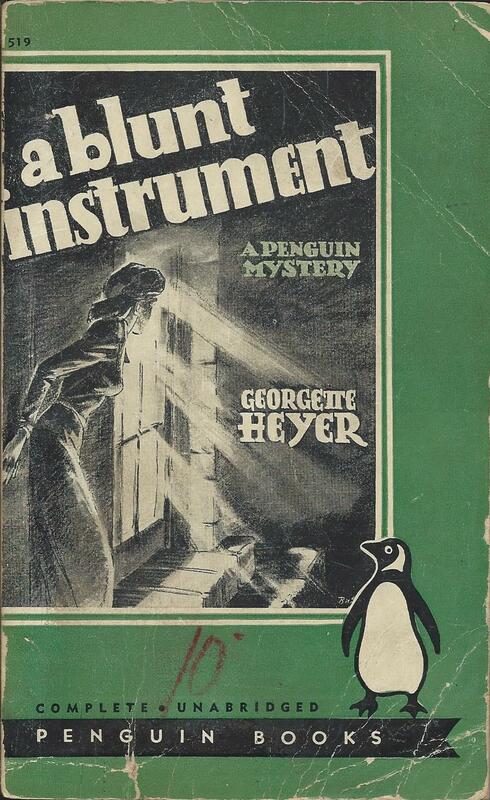 A new series of Penguins, published only in America, and numbered from 501 onwards, started in the Spring of 1942 with Mignon Eberhart’s ‘Murder by an aristocrat’ and ‘Pygmalion’ by George Bernard Shaw. 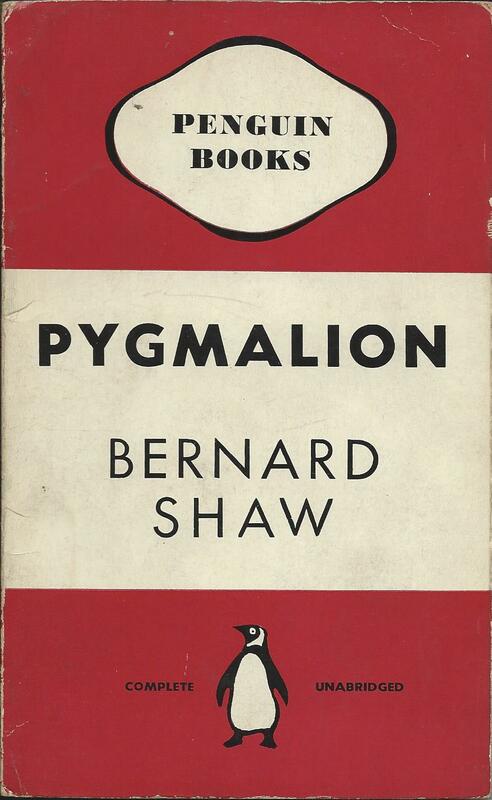 The first printing of each of these books had covers that followed the standard UK design of three horizontal stripes, colour coded to indicate genre, green for crime for the Eberhart and red for plays in the case of ‘Pygmalion’. But Penguin’s local management in the US, headed by Ian Ballantine, must already have been concerned about whether this format was right for the American market. 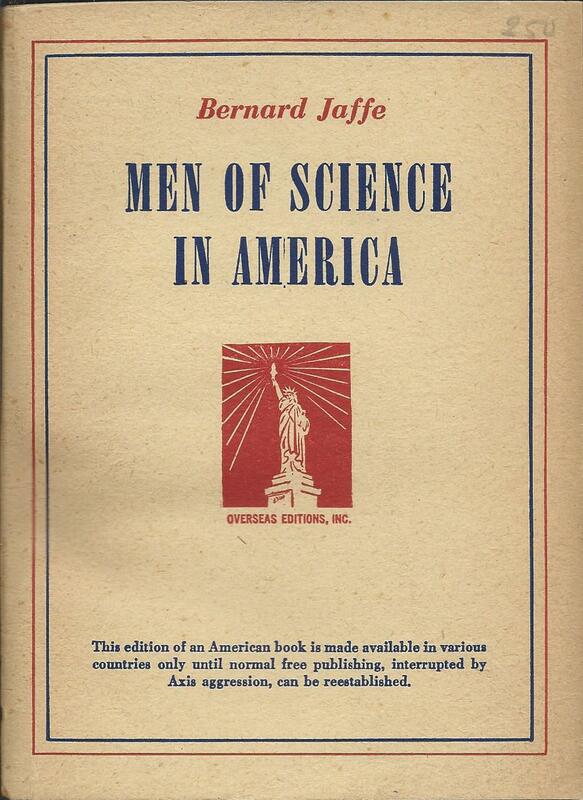 By June 1942, with the issue of the next batch of books from volume 503 on, the design had been altered to one more specific to the US market. Cover illustration was still absent, probably because of opposition from the UK, but there was space instead for a short blurb advertising the book. 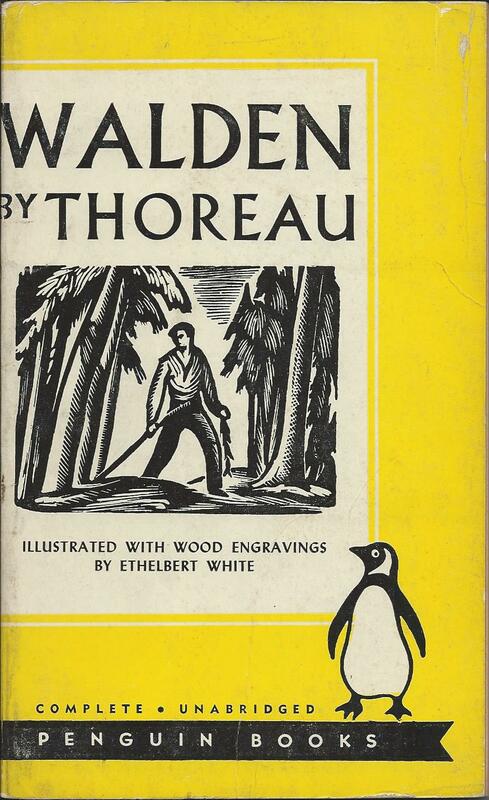 The first tentative step towards cover illustration started with volume 508 – ‘Walden’ by Thoreau. This was probably acceptable to the UK parent as the illustration was from a woodcut – there had been precedents for that. But Ballantine clearly wanted to go further, and it was not long before he got his way. Volume 514 – ‘Tombstone’ by Walter Noble Burns again featured a small illustration, and from there, there was no going back. The illustrations continued to increase in size and in prominence. 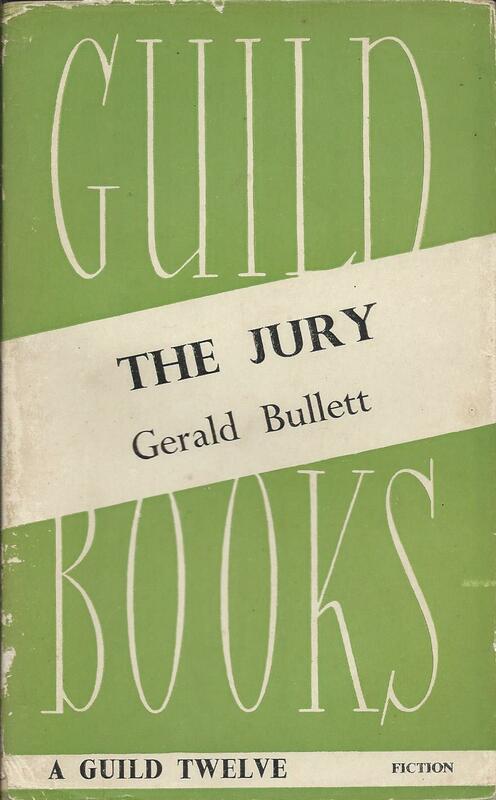 From November 1943, with volume 525, the books reduced in size to a more standard US size, and then from volume 566 onwards they started to use additional colours on the covers. By now Penguins had lost most of their distinctiveness and were looking increasingly like any other American paperback. 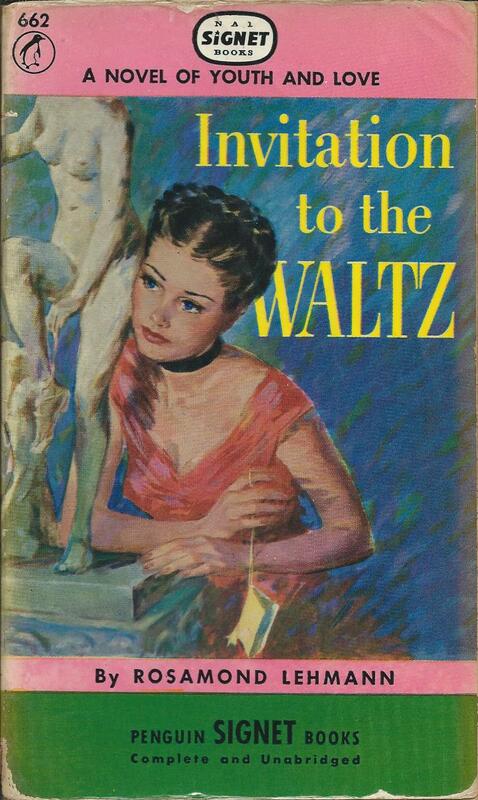 It should be said that the cover illustrations were probably relatively up-market, often designed by Robert Jonas, and a long way from some of the gaudier covers on the market. But they were equally far away from UK Penguins, and the gap was only going to increase. From 1945 the books increased in size again, perhaps regaining some distinctiveness, but moved to full colour covers, still relatively restrained. Tensions remained with the UK parent, with cover design still a running sore, and by 1948 separation seemed to be inevitable. The business was bought out and Penguin Books became Signet Books as part of the New American Library. The whole process from launch of the series in 1942 to separation in 1948 had taken just 6 years, and along the way almost everything that marked out Penguins as distinctive in the UK had been jettisoned. Why did Penguins, and particularly the idea of paperbacks with non-illustrated covers, fail in the US? Was it even given a chance, considering how quickly the non-illustrated covers were discarded? It’s easy to say that the US market was different and Penguins had to compete with the wide choice of brightly covered paperbacks available there. That’s true enough, but there were lots of brightly illustrated paperbacks available in the UK too when Penguin launched, and it wasn’t obvious that Penguins would stand out. Somehow, for a brief period, something clicked in the UK, and Penguins caught the Zeitgeist. By the time Penguin withdrew from the US in 1948, its home market was changing as well, and other paperback series such as Pan, with illustrated covers, were on the horizon. It would still be more than another decade before Penguin made significant moves in that direction, but the winds of change were already blowing. Despite being married to a garden designer, and living in a house with a garden that in effect showcases her work, I never had much time for gardening over the last 40 years of working at my own job. If there’s one thing a garden needs more than sunshine and rain, it’s time. Now, after giving up full-time work, I finally have the time to enjoy gardening, and gardens too. Time was something Lawrence Johnston seems to have had plenty of, and money too, coming from a wealthy American family. 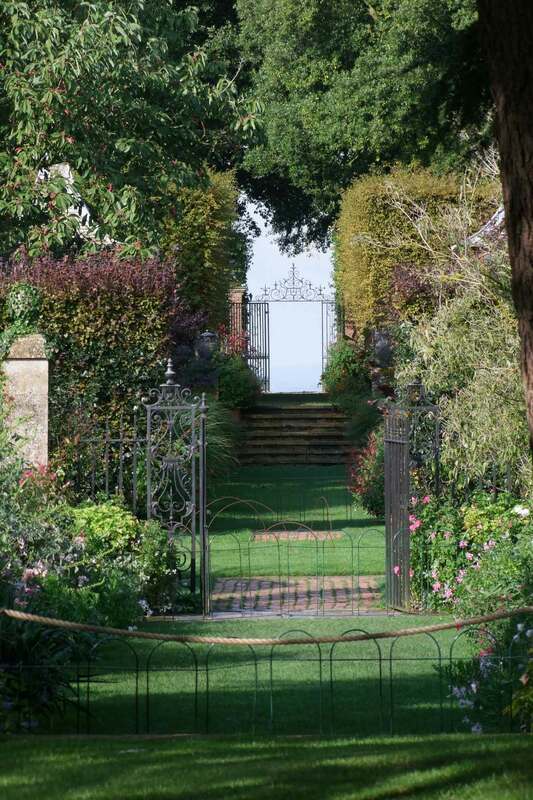 He devoted both to creating a magnificent garden at Hidcote Manor, on the edge of the Cotswolds, in the first half of the last century, and to scouring the word for rare plants to fill it. The garden is now owned by the National Trust. Seeing it for the first time this week, it’s a constantly surprising mix of intimate areas and grand vistas. Johnston was one of the pioneers of the idea of a garden as a series of ‘rooms’, separated by hedges and walls. So you move on from one area to the next, through gaps or gates, always seeing something different, and never quite knowing what might be on the other side of the next hedge. 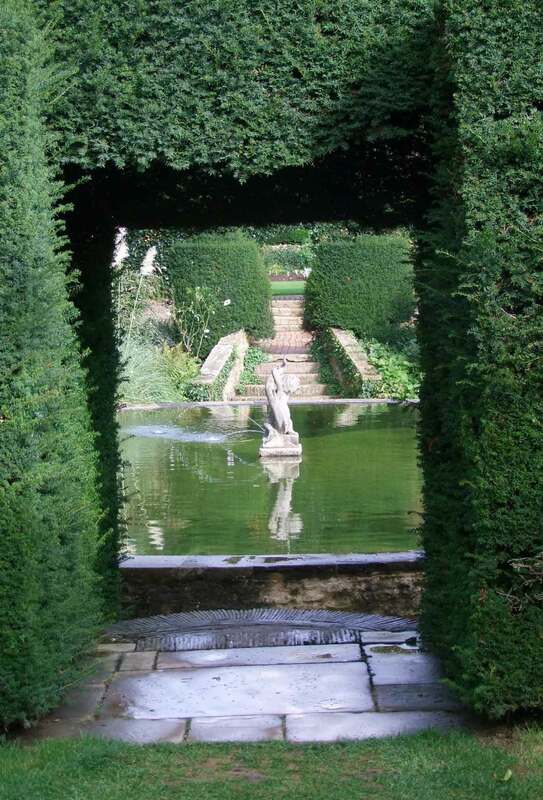 It could be a closely hedged-in pond, or a small garden dedicated to white-flowered plants, or it could be a grand alleyway flanked by tall yew hedges. That concept could easily make the garden fragmented, but here it’s tied together by carefully lined up views, that reveal hints of the structure of the garden, without ever giving it all away. There are no natural views out over the surrounding landscape, so Johnston instead created internal views. Views across rising land are focused on wrought-iron gates in the distance, silhouetted against the sky, like a view of the gates of heaven. He wasn’t put off either from creating a wonderful stream garden, one of my favourite bits, by the fact that the stream itself is a piddling little thing. There’s hardly enough water in it to do more than trickle down, but it still becomes the centrepiece of a long winding stretch and spreads into little pools and waterfalls. Inspiring really, as we probably have more water in the springs running through our property than Hidcote does. I may even have the time now, so all we need is the resources of a rich American – or the National Trust. 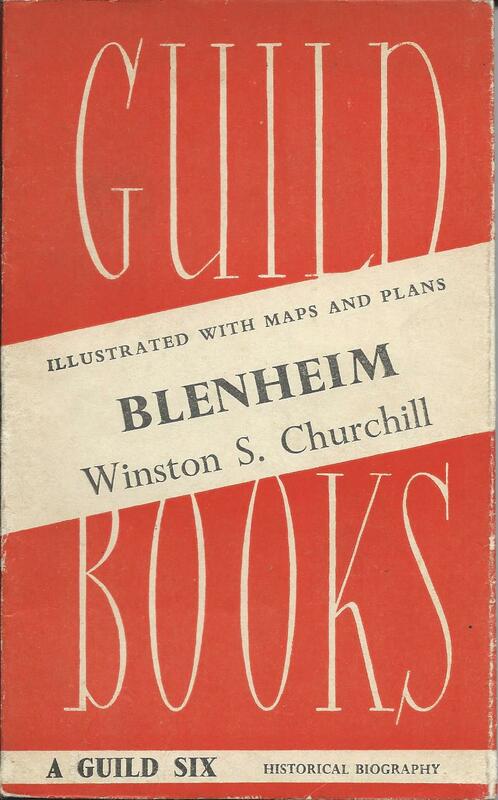 The first 70 Guild Books Services Editions in 1943 and 1944 were a breakthrough for the British Publishers Guild, but they were far from the end of the story. 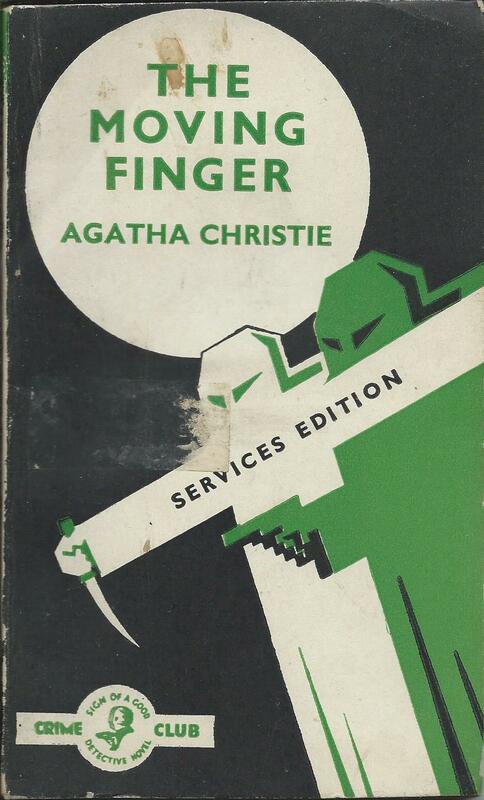 The series continued through to a total of 231 titles, accounting for not far off half of all UK Services Editions. As with the first 70, there is no full list of what exists and no collection in any major library, so it needs a lot of detective work to track them down. Fortunately the later issues are a little easier to find than the early ones, and I now have copies in one form or another of 146 of the 161 titles from S71 to S231. I think I know at least the titles and authors of 10 of the 15 missing books, but there are still 5 gaps where I don’t even know the title. Of course it’s possible that these 5 are just gaps in the numbering system and were never issued, but as I’ve been gradually filling in gaps for the last 25 years, it seems likely that they’re out there somewhere, as are the other missing titles from the first 70. The list, as far I’ve been able to complete it, is on my Services Editions website. The books continued to come from a wide range of publishers, with 22 having contributed at least one book by the end of the series, and they were also printed by a range of different companies. Up to volume S209 though they were in a consistent size and format, differing only in the colour of the cover. Then around the end of 1945, all printing switched to the Amalgamated Press and the books changed to a wider format. The same cover design was used but the books were now too wide for it, so a narrow strip is left either side of the diagonal stripe on all these later books. More confusingly, a lot of the earlier books were also reprinted in this format, but without any alteration to the printing history, so that there is nothing other than the format to indicate that these are reprints. In practice any book that is in the wider format is likely to be from 1946, whatever the printing history says, and if it is numbered before S209 then it is a reprint. 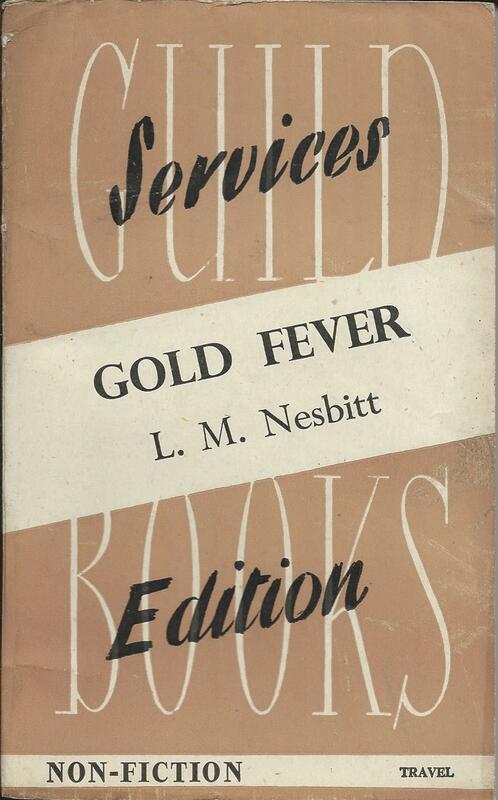 The publication of Services Editions ended later in 1946 and remaining copies were sold to WH Smith, who sold them on to the general public with a special sticker on them. In practice a high proportion of the books that turn up now, whether they have stickers on or not, are ones that were sold off in this way, rather than copies actually used by the services. Inevitably most of them are in the wider format and a lot are reprints of earlier titles. Without these reprints, my own collection would be a lot thinner and my knowledge of what books exist would be a lot less complete, but of course it would be nice at some stage to track down first printings. It’s known that the first 70 titles were ordered in an initial print run of 50,000 copies each. As later titles are a bit easier to find, it seems fair to assume that their print run was at least as large. That would make over 10 million copies printed of the first 209 books in narrow format. 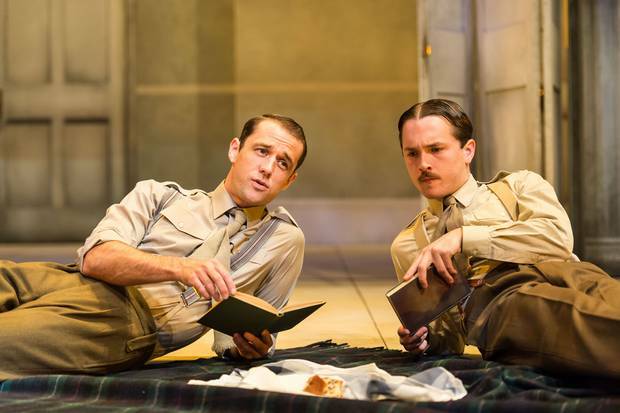 They were small fragile books on poor quality wartime paper. Many, if not most, will have been sent abroad, read repeatedly, stored in battledress pockets, and generally poorly treated. It is perhaps not surprising that few have survived. The wider format books from 1946 have survived in greater numbers, although the paper is often heavily browned, and there is usually some rusting on the staples. Only 22 new titles were published in this format, but a lot of other titles were reprinted, adding up to possibly over 100 titles in total – so perhaps another 5 million books. Their chances of survival were probably better because so many of them were released to WH Smith for resale. Even so, some individual titles are very difficult to find, and there are some that I have never seen. Overall there are remarkably few remaining books for a series of which some 15 million copies were printed just 70 years ago. 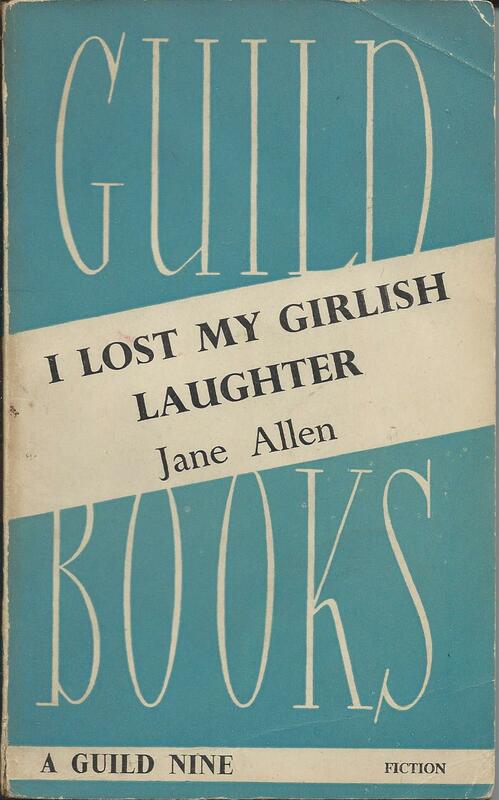 Guild Books may have failed miserably in their initial attack in 1941 on the core market of Penguin Books, and they were to fail again in a later post-war attempt, but there was one area in which they completely outshone Penguin. 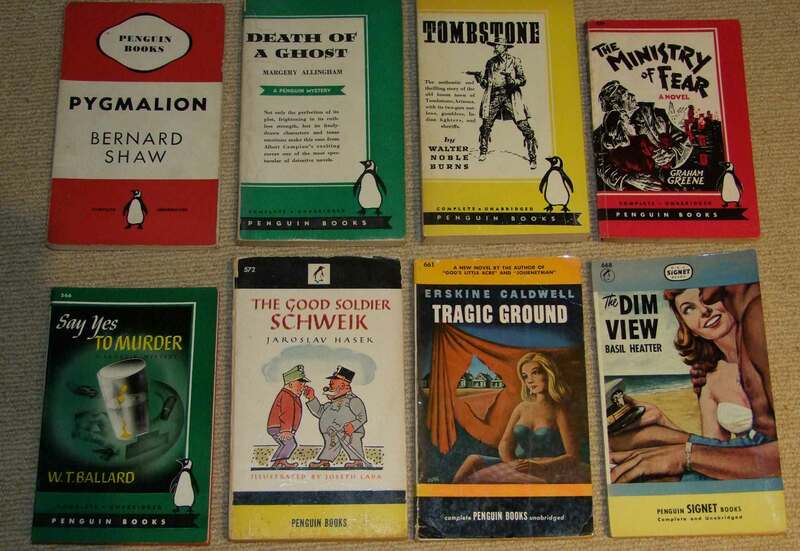 Their series of 230 Services Editions set the standard for these historic paperbacks distributed to UK forces around the world, and succeeded in an area where Penguin had been badly wounded and had withdrawn from the fray. The failure of Penguin’s Forces Book Club is a topic for another day, but by early 1943 when the Armed Services were looking for publishers to provide them with cheap paperbacks, Penguin were not really in the market. Collins instead stepped in with their White Circle books, and the other main series came from the British Publishers Guild. 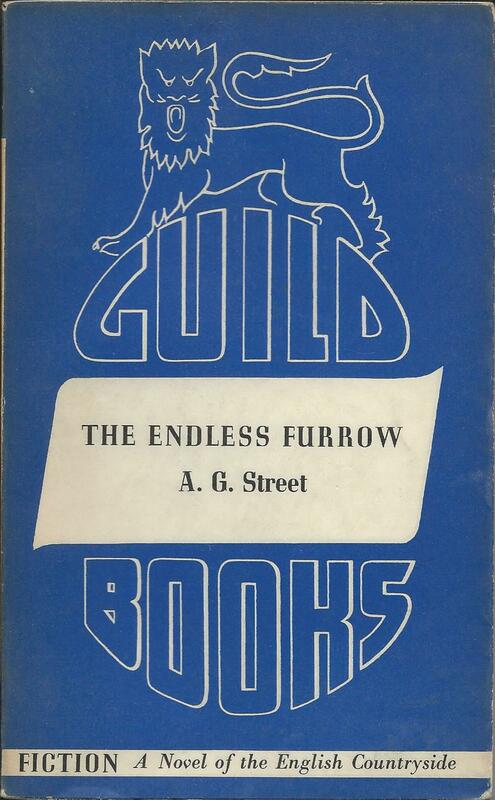 They had launched Guild Books to compete with Penguin with little success, but now in the hour of their country’s need, they finally found a real purpose. 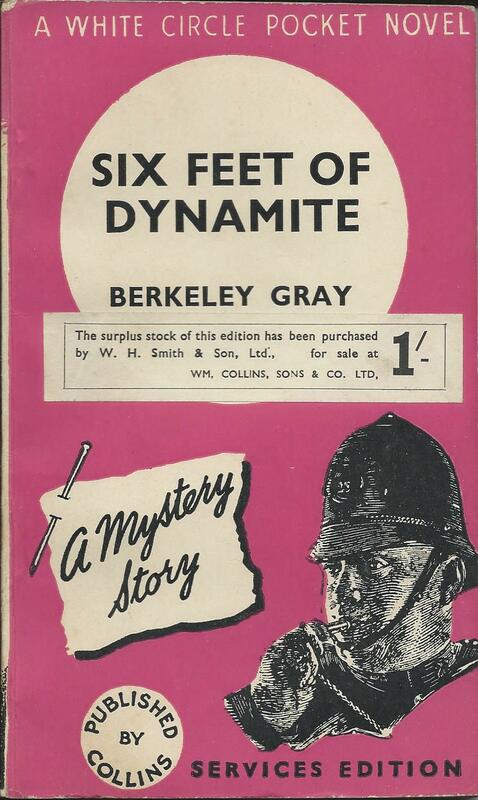 The report of the officer in charge of the Services Central Book Depot for the period up to June 1943, refers to an arrangement to provide 70 books in a print run of 50,000 copies each and at a cost of 5½ pence a book. 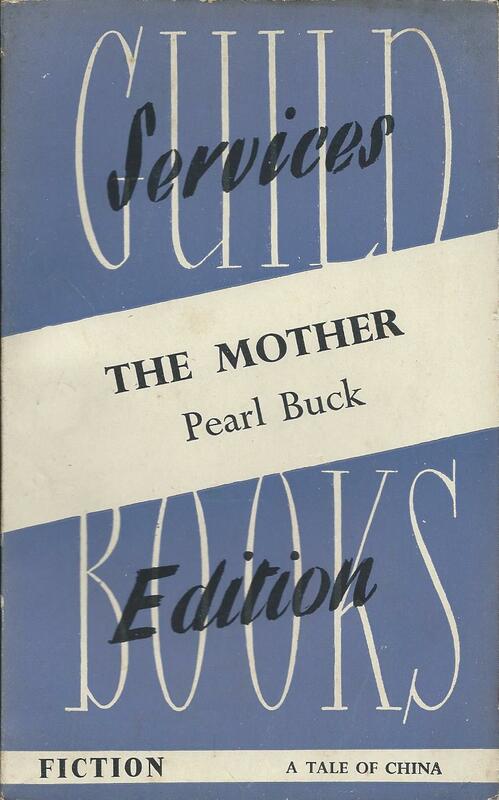 The books were to be mostly up-to-date books, which had not before been printed in a cheap edition, and to be delivered by the end of June 1943. The books, he reports, ‘were most favourably commented upon and received a great reception’. However, as only the first 65 books are dated 1943, it seems unlikely that 70 different books were in practice provided by June 1943. It may be that 65 were delivered and there was then a gap before the series was extended in 1944, or it may be that a steady supply of new titles was provided rather than a one-off delivery. The first 70 books came from a total of 15 different publishers, so it would hardly be surprising if there were some difficulties in co-ordination. 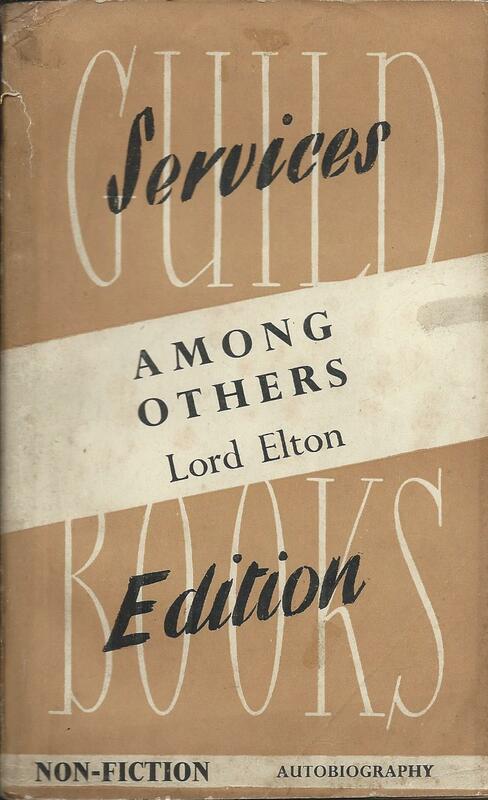 The design of the books followed the same format as the original Guild series, with a white diagonal stripe across the front cover for the title and author, but now with the words ‘Services Edition’ printed above and below it. On the back cover the stripe was used for a standard wording about the Services Central Book Depot and the purpose of the series. Instead of colour coding being used to denote the price, it was now used for genre, with red for crime and thrillers, blue for general fiction and light brown for non-fiction. A rough balance between the three categories was maintained throughout the series. 70 books at 50,000 copies each amounts to three and a half million books. But if you look today for copies of them on the major internet sites for second-hand books, you’ll be lucky to find a single one. There will be copies of later reprints (often described by booksellers as first printings, but distinguishable by being rather wider and being printed by The Amalgamated Press in a stapled format) but almost no first printings from 1943. Three and a half million books have essentially disappeared, and the same is true of the similar number of Collins Services Editions printed at the same time. There are no copies of them in the British Library or any other major library that I’m aware of, and not even a list of the titles. I’ve now tracked down at least the titles of 60 of those first 70 books, and actual copies of rather fewer of them, but there are still lots of gaps in my knowledge about them. I’d love help that anybody else can provide, before the knowledge and any remaining copies of the books themselves, finally disappear. I’ll go on to look at the continuation of the series in my next post. I have read many Tauchnitz books and browsed many others and I don’t think I have ever come across a spelling mistake. There are one or two small printing errors – the first printing of volume 35 managed to spell Tauchnitz’s own name wrongly on the title page- but these are very few and far between. Remember these are books typeset and printed in Germany but in the English language. For the people who set them up they were effectively foreign language books. There were no automatic spellcheckers when they were produced. The firm had no London office where it employed English language editors, and I have no knowledge of it employing British staff in its Leipzig office, although it seems possible that it may have done so. The early volumes though carried a note on the front cover saying ‘The corrections of the press by Dr. Fluegel’, who doesn’t sound very British. How on earth did they do it? It’s clear from his correspondence that Bernhard Tauchnitz himself was, or became, a fluent English speaker. But there must have been some limitations to his command of English at least in his younger days, and in any case he would hardly be reviewing every text himself in detail. Most of the books the firm published had already been published in Britain, so there would have been a printed text to work from rather than the author’s manuscript. However in many cases the Tauchnitz Edition came out within a few days of the UK edition, or even in some cases earlier, so they must sometimes have been working from early proofs, rather than a final text. And I assume that the people actually setting the type to create the stereotype plates were not native English speakers. A few spelling or printing mistakes would certainly have been excusable. The firm didn’t just publish in English. They also published in German and in French as well as a large number of Latin books. I can’t vouch for the level of accuracy in these, but it seems fair to assume that attention to detail was one of the firm’s strengths. And they applied the same attention to numbers as well as words. When they published Dr. Bruhn’s ‘New manual of logarithms to seven places of decimals’ in 1970, it gave details of five separate examinations of the logarithms for accuracy, the last two of them read from the stereotype plates. As the book contains over 600 large pages of closely packed figures, this was no mean feat. It was accompanied by an offer from the publisher to pay one Friedrichsd’or (a Prussian gold coin named after Frederick the Great) as a prize for finding a typographical error. However the proof reading wasn’t perfect. By the time the book was reprinted in 1903, six errors had been found and corrected.